Russian President Vladimir Putin told Washington to send him hard evidence that his citizens meddled in U.S. elections, mocking accusations to date as "yelling and hollering in the United States Congress". The office of U.S. Special Counsel Robert Mueller charged 13 Russians and three firms last month with interfering in the 2016 presidential vote as part of what it called a conspiracy to support Donald Trump and disparage Hillary Clinton. "I have to see first what they've done. 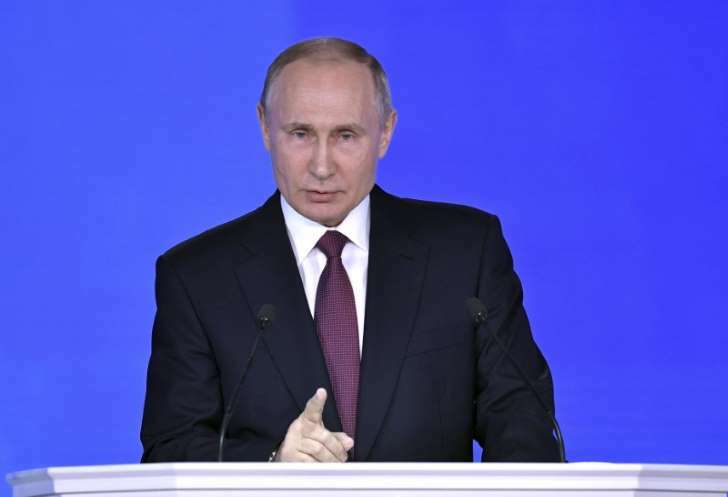 Give us materials, give us information," Putin said in an interview with NBC TV aired late on Friday, according to an English voice-over of his words. "We can not respond to that if they do not violate Russian laws," Putin told NBC's Megyn Kelly, when asked whether Moscow would take action against the named individuals. Kelly listed some of the accusations of Russian interference made by Mueller's office and other U.S. officials, including the spreading of false information online. "With all due respect for you personally, with all due respect for Congress, you must have people with legal degrees, 100 percent you do," Putin said smiling. He said U.S. authorities should send Russia's general prosecutor an official request. "This has to go through official channels, not through the press or yelling and hollering in the United States Congress," Putin said.